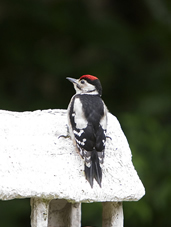 Homes or shelters are perfect refuges for all types of animals in your garden, or indeed any green space. These artificial structures provide alternative to homes in dead wood, mature trees, banks and other natural features that are often in short supply in the urban landscape. As well as the common bird boxes, you may be surprised what else you can encourage to use other types of homes. This is conservation in the simplest & easiest form, whether its in your back garden or village green. As well as their natural value and interest, many of these species keep garden pests in check, such as slugs, snails and troublesome insects.